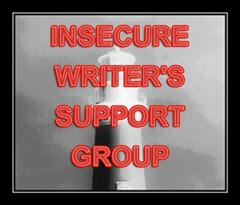 Today I wanted to talk about all the distractions in life in honor of the Insecure Writer’s Support Group. Being the first Wednesday of the month, that is what is supposed to happen. I wanted to talk about the things that I struggled against during the last month. The things that pull me away from the stuff I want to do and the things I am supposed to do. Social Media – I feel the draw each time I sit down to write or knit or anything other than that. It is a big time waster for me, and I’m not sure I have enough courage to shut it down. Maybe limiting it will be better. Friends and Family – This time of year is fraught with events and frolicking; it is distracting when you have goals. I’ve managed to keep up my word count through sheer stubbornness. Some days are harder than others. Stress – So many things bring stress into my life. I am distracted by the need to neutralize all of that stress. I managed to make it to a yoga class tonight. The fact that it has taken me a couple of months to do this is crazy. The Endless To-Do List – I’m not even sure I have to go further on this one. This list is just distracting. These were the things I wanted to discuss. Instead, what is on my heart is my writing friend, Josh. I met Josh during my first NaNoWriMo. I don’t know how long he had been writing but was impressed that he chose an ambitious project for November. I don’t know if he ever finished that particular novel. I do know he had some other goals he was working on in his life. None of that will happen now. You see, Josh was found dead this week. It doesn’t matter why or how, not to me. I am saddened by a life cut so short that held so much potential. Josh had the best smile and that is what I will remember most about him. This is the most distracting thing of all. Thank you for your thoughts and thanks for stopping by.